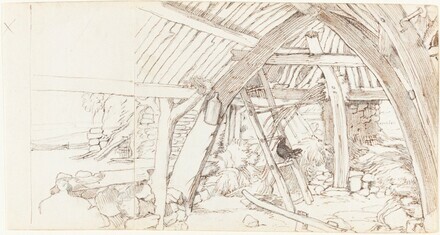 Leicester Galleries, London; (Durlacher Brothers, London); purchased by William B. O'Neal, Charlottesville, VA, 1964-1994; gift to NGA, 1995. Master Drawings from the Collection of William B. O'Neal, Walter Cecil Rawls Museum, Courtland, VA and tour, 1973-1975. Master Drawings from the Collection of William B. O'Neal, Virginia Museum Downtown Gallery, Richmond, 1975, 13.